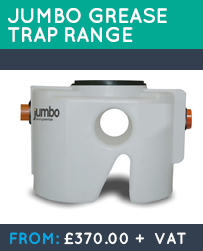 Blog Grease traps: What they are and why you need one? 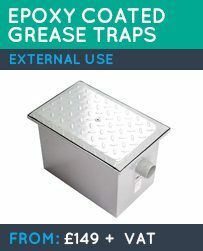 Grease traps: What they are and why you need one? A grease trap can be an integral part of your home and kitchen maintenance systems. You need one because grease can solidify in your sewer pipes as it goes down your sink as waste and it will block them. Grease and oils cause major issues to your property if left unchecked and problems for the environment in general. Do you really need a grease trap? A well-looked after grease trap will guarantee that you protected from most of the costly drainage overflows and drain blockages. Blockages can be expensive to repair and additionally they generate bad odours that can drive people away. The bulk of food businesses especially who are producing food waste in larger quantities are required by law to install a grease trap. In fact, not having a grease trap can lead to you being charged to fix sewage systems installed on your property. It is important to understand that the discharge of grease into drainage pipes causes blockages and actually effects the execution of activities at sewage treatment plants. At all times, grease traps are necessary if fats and greases are released in to drainage systems. It is possible to buy various products and enzymes to dissolve grease down your sink, but these are not an satisfactory alternative as grease will just reform further down the in the drainage system. When you choose a grease trap that is adequately sized, it removes the correct volume and quality of waste discharge from your system. When you constantly use deep fat fryers and similar appliances or, follow processes that make sizeable amounts of plant or animal by products – this builds up. However, a good grease trap acts to separate out oils and fats for you. 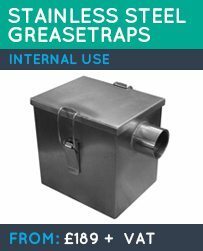 Grease traps can be installed downstream from your kitchen where any wastewater can be cooled to under 40°C. 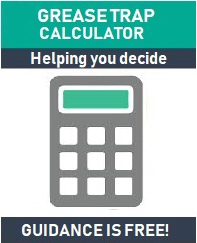 Solids in your system rise and can be collected from the system. The grease trap acts to separate this from the wastewater by simple gravity, ensuring that the wastewater that leaves for the sewer system is grease free. 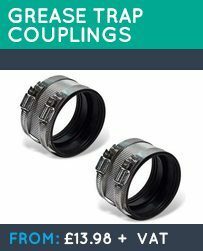 There are numerous ways to cut down on your grease production and so deflect the costly maintenance of sewers and fines. Grease traps are perfect for helping you to do this. By using common sense and good practices you can reduce the collection of grease and minimise the costly clean up of major grease spills. Grease traps are not self cleaning and they require cleaning which is an everyday hygiene activity for many businesses anyway. Cared for properly, they in effect remove most grease from kitchen systems. It is still important to initially recycle any large amounts of grease and oils whenever possible. Recycle fat and food products in safely sealed containers with your solid waste. Whether you are considering a grease trap for you home, you are starting a brand new restaurant or just replacing your existing appliances, one thing is certain: a grease trap is required to make your life easier. It is also more than just common sense to have a grease trap to help with the maintenance of your pipes and it is also required by law for local businesses. What grease trap do I need for my business? When should a grease trap be emptied?